Makes 20 cookies. New! Since 1939. Dough made with real butter. Cage free eggs. Unbleached flour. Pure cane sugar. Nestle Cocoa plan. 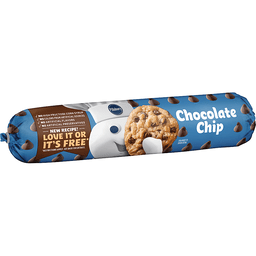 Per 1 Cookie: 110 calories; 2.5 g sat fat (13% DV); 95 mg sodium (4% DV); 9 g sugars. Cocoa Plan: Supporting farmers for better chocolate. The Nestle Cocoa Plan works with UTZ certified to help improve the lives of the cocoa farmers and the quality of their products. www.nestlecocoaplan.com. Nutritional Compass: Nestle - Good food, good life. Good to Know: this product has no preservatives, or artificial flavors or colors. Good to Connect: VeryBestBaking.com call or test 1-800-289-7314. Thoughtful Portion: 1 portion = 1 cookie. 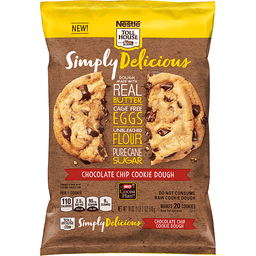 Enjoy 1 cookie with a cup of nonfat milk for a snack. No artificial preservatives, colors and flavors. 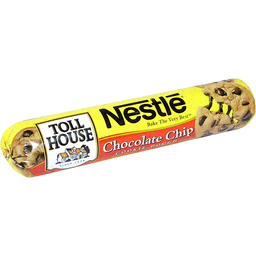 Per 1 Cookie: 110 calories; 2 g sat fat (10% DV); 40 mg sodium (2% DV); 9 g sugars. 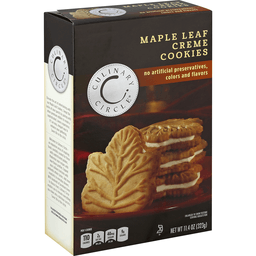 Elevate the art of entertaining with our Maple Leaf Cookies. Tempt the tastes of your guests by pairing with other premium edibles to create a sophisticated, savory experience. It's an easy, elegant way to enhance your gathering. Savor life in the circle. Welcome to Culinary Circle - an expansive array of inspiring foods carefully curated for those with sophisticated palates. Modernize your recipes with new flavor profiles. Expand your culinary horizons with authentic ethnic tastes. Add more creativity to everyday dinners. With hundreds of premium items to choose from, Culinary Circle enables you to elevate everything you make into a delicious success. For product information and recipes visit us at www.culinarycircle.com. 100% quality guaranteed. Like it or let us make it right. That's our quality promise. culinarycircle.com. Product of Canada.